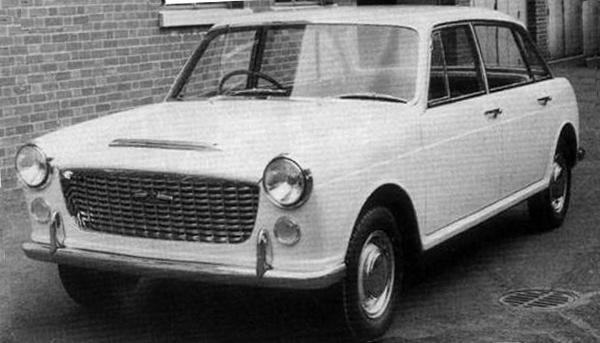 The origins of ADO17 can be traced back to XC9000, the first in a series of designs produced by Alec Issigonis in 1956, following his return to BMC from Alvis. The rear-wheel-drive XC9000 prototype was developed into the front-wheel-drive XC9001, before the project was shelved in response to the Suez Crisis. 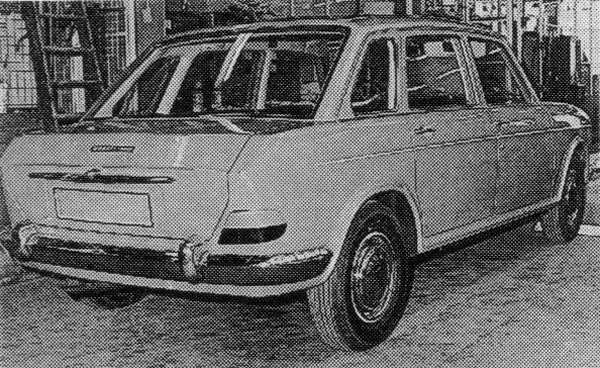 The XC9001 design was scaled down to provide the starting points for both the Mini (XC9003/ADO15) and the 1100 (XC9002/ADO16), before the project was revived and enlarged to become XC9005, better known these days as the Landcrab. Our Cars : Project Connie – Living the dream or letting off steam? It’s a shame the facelift version didn’t see the light of day. The squared off c-pillar loks more modern & the boot more practical. But why did they need a British facelift proposal at all? BMCs Australian outpost had already produced a modern looking variant of the car – The Tasmin I think it was called – that could have been adopted with next to no development cost here. Pride and internal politics again wasting millions in wasted opportunity. the car at the top is like a weird mini variant. Glad it never made production its horrible. 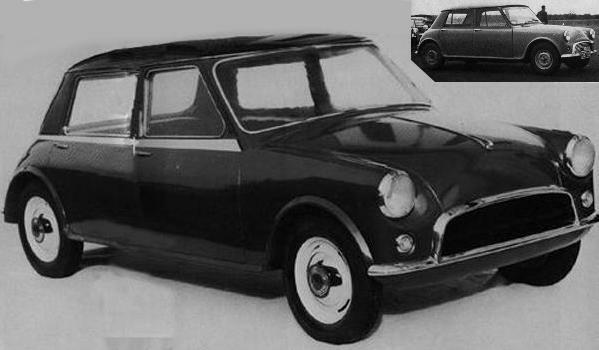 The car at the top is not “like a weird mini variant”, the mini was a variant of the car at the top. But I agree it still looks weird. isnt that wierd mini variant a countryman?i prefer this original it sits well. Proof positive that Issigonis should never have been allowed to style his own cars. With the Mini he got away with it because there was nothing else like it- the Mini was never actually a pretty car but it did have charm in spades. And the Minor was, unless I am mistaken, styled by someone other than Issigonis- and that was a handsome car in its day (and still looks great today in a very ‘retro’ way). BMC should have used Pininfarina’s design for the 1800/2200. Not the dumpy design that they used. The upscaled Mini design with the stretched looks odd yet better than the production car. The XC 9002 looks contempory even today,much bolder than the sorry looking but advanced landcrab. It’s very strange that after all this time that the larger Bini Countryman (MaxiBini) looks so similar to the XC9001 Prototype. I wonder if that Issigonis design had influence for the styling and concept of MaxiBini?? 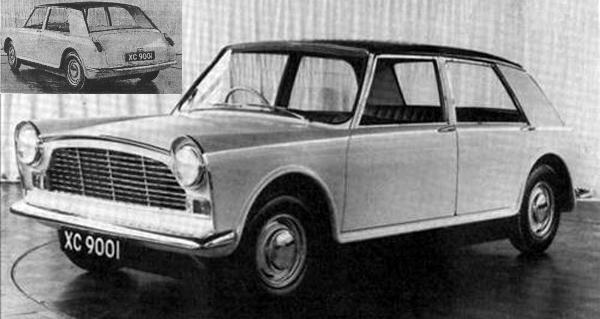 It just shows what could have been its certainly more palatable than the Landcrab although they should have used the Pininfarina BMC 1800 Citroenesque Design; not sure if the 1960’s British public would have been ready for it though. Hints of DS about the sweeping rear of the XC9000. 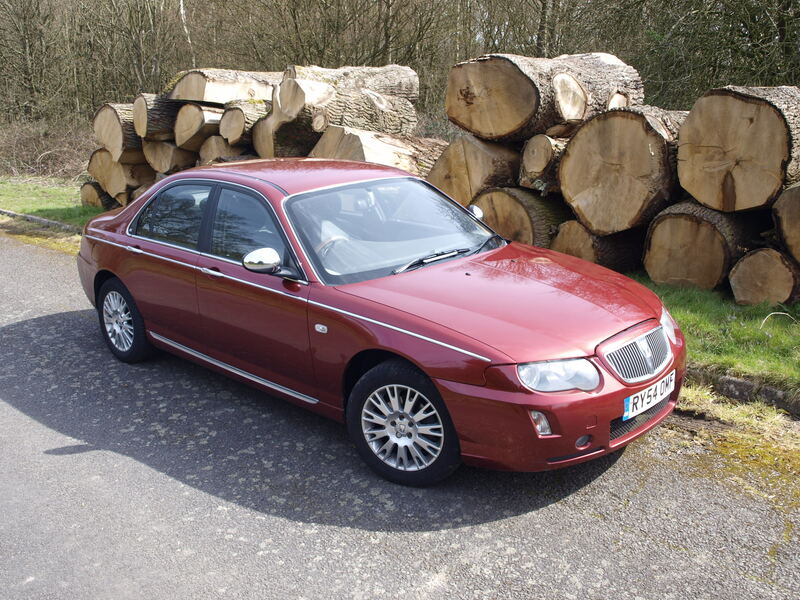 This and the Paninfarina 1800, BMC/BL might have been the UKs Citroen (though it didn’t help that company much and they soon ended up selling rehashed Peugeots). 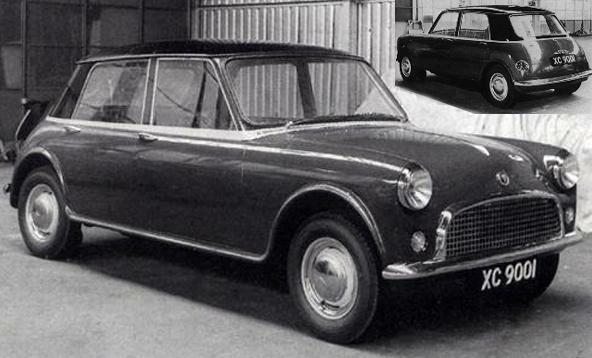 That scaled up mini picture looks staggeringly similar to the modern BINI 4 door. the 66 facelift looks like the 4 door Maxi proposal. Generally – going through the history shown on all of these fascinating pages I keep wondering why the final products were so mediocre. Back then in Poland I was a keen reader of Autocar, Motor and Car magazines and car design was my main fascination. Moreover, Mr Zbigniew Maurer (Alfa designer – 156 for example) was my school colleague. 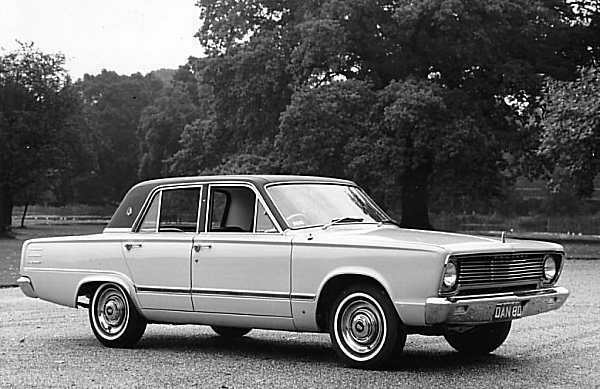 I can’t seem to be able to comment on the main landcrab page, but thinking about it what BMC should have launched INSTEAD of the 1800 was a next generation Austin Cambridge/Morris Oxford. Leave Issigonis to the small FWD cars where his brilliance worked perfectly, but in this sector keep it simple and conventional. RWD, boxy styling, the 1.6 and 1.8 B series engines, steel suspension. After all other manufacturers like Fiat were happy to have FWD smaller cars, but kept RWD for their larger ones, ditto Peugeot.